Over 15% of teens admit that they sleep for 8 1/2 hours on school nights. Not getting enough sleep can cause serious problems. Topness, Ellen. "Reasons Not to Skip Breakfast." SFGate. 2014 Hearst Communications, 2014. Web. 3 June 2014. PBS Kids It's My Life. 2005 CastleWorks, 2005. Web. 3 June 2014. <http://pbskids.org/itsmylife/school/time/>. New Horizon. 2014 by Chris Zapata Viado, 2014. Web. 4 June 2014. <http://chriszapataviado.blogspot.com/2012/04/ 8-ways-your-job-may-be-killing-you.html>. My Life as a Flyer. N.p., n.d. Web. 4 June 2014. 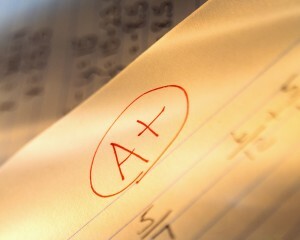 <http://www.nazstudentblog.com/2014/04/11/tips-for-essay-writing/#>. Dairy Council of California. 2014 Dairy Council of California, 2014. Web. 4 June 2014. 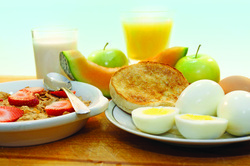 <http://www.healthyeating.org/Healthy-Eating/Meals-Recipes/Breakfast.aspx>.